The College of Science and Mathematics offers a B.S. degree with options of majors in biology, biochemistry-molecular biology, chemistry, mathematics and physics. B.S. degree options for majors for students pursuing teacher certification are composite science, life science, mathematical studies, and physical science. The College of Science and Mathematics faculty members are deeply committed to undergraduate teaching and research. One-on-one interactions with faculty members are the norm in this College. Research opportunities with faculty are available to undergraduates. Students are also encouraged to participate in summer internships and research programs at other universities and research institutions. The Biology Department at Houston Baptist University emphasizes the biomedical/biotechnology area of biology. HBU Biology is especially strong in Cell and Molecular Biology, Microbiology, and Animal Systems. The program, taught by faculty with earned Doctorates, prepares students for a wide variety of careers including health professions, graduate School, nursing, education, and industry. Graduates of HBU Biology have become PhDs, physicians, dentists, bio technicians, researchers, teachers, and other interesting professions. They work in the fields of allied health, quality control, ecology, animal and plant science, consulting, lab management, forensics, and related sales areas. HBU Biology prepares students for their careers by offering biology courses with an academically rigorous, contemporary curriculum. HBU Biology faculty serve as mentors to enable students to develop professional attitudes required for success and service. HBU Biology provides mentoring and experiences that enable students to grow in a Christian environment that integrates the principles of biological sciences with their faith. Departmental honors are available in Biology. The College of Science and Mathematics provides the interdisciplinary training necessary to prepare students for success in careers in the biological and biochemical sciences. HBU faculty from Biology, Chemistry, Math and Physics teach and mentor in this major. The Biochemistry-Molecular Biology (BCMB) major incorporates the training needed for students to compete for spaces in medical school, dental school and graduate programs in the biological and biochemical sciences, in addition to entry-level employment in biomedical research at academic institutions and in the biotechnology industry. Departmental honors are available in BCMB. The BCMB program is accredited by the American Society for Biochemistry and Molecular Biology. The chemistry major includes courses in biochemistry as well as general, inorganic, organic, analytical, and physical chemistry. Calculus I and II and two courses in calculus-based physics are also required. The curriculum provides laboratory experiences and includes a senior research project. Internships and additional undergraduate research opportunities, outside of course requirements, are available to qualified chemistry majors. Chemistry graduates commonly pursue graduate school, industrial employment, and further study in various health professions. The mathematics major combines coursework in both pure and applied mathematics with computer applications. It is designed to prepare students for graduate study or for careers in business, government, and industry. Mathematics courses are also offered to support other programs, including business, chemistry, education, engineering, the health professions, and physics. Mathematics graduates often find employment with companies in technological fields such as computer science, engineering, statistics, and actuarial science, but are also highly-valued by employers in non-technological fields because of their proven problem-solving abilities. A mathematics degree also provides a solid foundation for students who wish to pursue further studies. Departmental honors are available in Mathematics. The physics program at HBU provides a firm foundation in the theoretical and experimental aspects of physics. In addition, the physics program offers courses for non-science majors: Physics for the Liberal Arts Mind; Astronomy and the Universe; Physics of Sound. Currently, the faculty is involved in theoretical, experimental, and applied physics research. Areas of research include biophysics, supersymmetry, and methods of teaching physics. 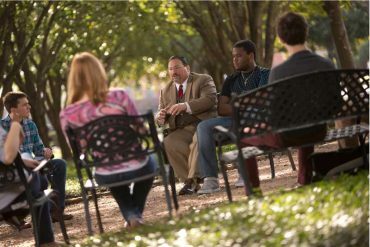 The College of Science and Mathematics also offers (in addition to advising for HBU degree requirements) specialized advising for students planning to continue their education after obtaining a degree from HBU by attending medical, dental, optometry, pharmacy, physical therapy, physician assistant, or an engineering school. The requirements as listed below are frequently updated by maintaining close contact with all professional schools. However, professional schools are continually modifying their curriculum, so students should consult with the health professions director for the most current requirements for a post-baccalaureate program. The pre-medical/pre-dental program is open to all HBU students interested in a career in medicine or dentistry. The program is not a major, rather it is a series of classes and activities designed to prepare students for entry into these schools. The coursework, shown below, consists of the prerequisite courses required by the majority of medical and dental schools. These courses must be completed prior to entry. Some professional schools, especially private schools, may have slightly different requirements. 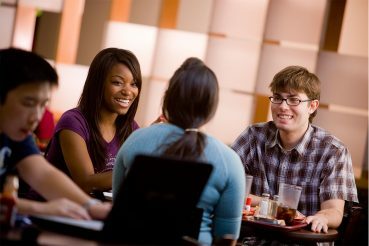 Activities in the program include membership and participation in the appropriate pre-professional student organization (Alpha Epsilon Delta, the pre-professional honor society and the Pre-Dental Society), trips to medical and dental schools, and workshops offered by the Health Professions Office. Students should check the bulletin board on the second floor of the Cullen Science building for information about scheduled activities. Students are also encouraged to seek shadowing opportunities with area health care professionals and to perform community service as individuals or in conjunction with AED and PDS. Entry into a health professions school is a competitive process. Application to medical and dental schools may occur early in the summer after a student’s junior year if prerequisite courses are complete and a student has a competitive GPA and MCAT/DAT score. If these conditions are not met, it may be in the student’s best interest to delay application until they obtain a competitive GPA and admissions test score. Texas medical and dental schools require evaluation letters. They may be submitted in one of two forms. 1). A Composite Letter of Evaluation from their Health Professions Office 2.) Three individual letters of evaluation. The HBU Health Profession Office provides a Composite Letter of Evaluation for qualified students. Complete 30 semester hours at HBU of which 16 hours are science courses. Complete 13 of the 16 pre-requisites courses (45 hrs is the total required) listed in the table below. If 13 classes have not been completed, the student will be referred to the Medical Professions Advisory Committee, for evaluation and comments to be included in the Evaluation Package. Register with the Health Professions Office (room S219) to indicate their intention to apply to medical/dental school. This registration should occur between January 15 and Mar 1 of the application year. Attend a 30 minute scheduled interview with the Applicant Evaluation Committee during the spring semester prior to application. In addition to these requirements, students are required to attend the series of three workshops designed to acquaint students with the on-line Texas Medical and Dental Schools Application Service, the format of a successful personal statement and the expectations of the medical school faculty at the interview. Pre-Medical and Pre-Dental prerequisite courses may change at any time without notice to Houston Baptist University. Some of the listed courses may have prerequisite requirements. This is a guide to the required courses for admission to Texas Chiropractic courses. Some of the listed courses may have prerequisite requirements. It is the student’s responsibility to check often with Texas Chiropractic College for any updates as these requirements may change without notice to HBU. For other entrance requirements, students should contact Texas Chiropractic College. This is a guide to the most frequently required courses. Not all courses will be required by all optometry Schools. Pre-optometry prerequisite courses may change at any time without notice to Houston Baptist University. Some of the listed courses may have prerequisite requirements. It is the student’s responsibility to check often with the professional School for any updates. 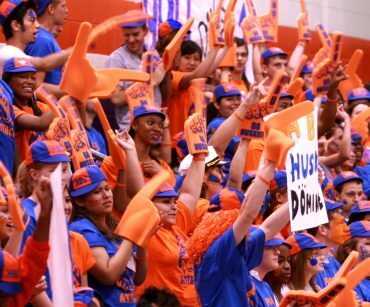 Students are encouraged to participate in the activities of our HBU Pre-Optometry Professional Society (HBU POPS). 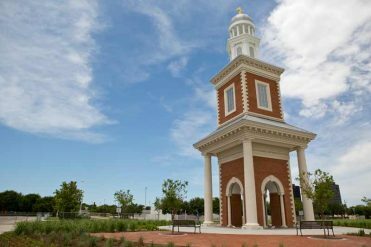 Students who plan to enter the field of pharmacy may complete the prerequisite courses at Houston Baptist University before applying for admission to a school of pharmacy. This is a guide to the most frequently required courses. Not all courses will be required by all pharmacy schools. Pre-Pharmacy prerequisite courses may change at any time without notice to Houston Baptist University. Some of the listed courses may have prerequisite requirements. It is the student’s responsibility to check often with the professional school for any updates. This is a guide to the most frequently required courses. Not all courses will be required by all physical therapy schools. Pre-Physical Therapy prerequisite courses may change at any time without notice to Houston Baptist University. Some of the listed courses may have prerequisite requirements. It is the student’s responsibility to check often with the professional School for any updates. Since programs vary in entrance requirements, students should confirm the specific admission requirements for each school. The requirements below are representative of most programs. Students who plan to enter the field of Physician Assistant may complete the prerequisite courses at Houston Baptist University before applying for admission to a Physician Assistant program. This is a guide to the most frequently required courses. Not all courses will be required by all physician assistant schools. Pre-Physician Assistant prerequisite courses may change at any time without notice to Houston Baptist University. Some of the listed courses may have prerequisite requirements. It is the student’s responsibility to check often with the professional school for any updates.